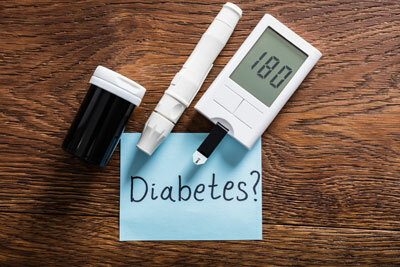 We treat a variety of diabetes and endocrine disorders including Type 1, Type 2, and Gestational Diabetes, Hashimoto’s disease, Grave’s disease, thyroid nodules and cancers, pituitary disorders, hemoglobin A1C checks, and adrenal disorders. We have the latest technology in the treatment of diabetes available to us and we offer in-office ultrasounds, insulin pump management, and digital retinal scans. Our highly skilled Certified Diabetes Educators provide comprehensive diabetes and nutrition education group classes and individual education tailored to your specific needs. Type 1 & Type 2: We treat both Type 1 and Type 2 Diabetes. We know there is no one treatment regimen for all diabetics. For this reason, we offer a comprehensive approach partnering our endocrinologist/diabetologist with certified diabetes educators to implement a customized treatment plan combining the best medications available with lifestyle modifications. We are also focused on preventing complications from diabetes such as heart disease, eye disease, kidney disease, and neuropathy. We do this by offering in-office A1c and cholesterol screenings, regular foot screenings to test for neuropathy, annual laboratory testing monitoring kidney function, and in-office retinal screening of the eyes using the latest RetinaVue 100 Imager. Prediabetes: We offer a comprehensive approach to treating prediabetes with nutritional counseling as well as medical treatment if necessary to prevent progression to diabetes. Gestational Diabetes: In partnership with your OB, we offer proven nutritional and medical regimens that will help control your blood sugars during pregnancy and reduce the risks of pregnancy complications resulting in gestational diabetes. We specialize in insulin pump therapy and our highly skilled Certified Pump Trainers (CPT) provide hands-on education to patients who are just starting to use pump therapy, who are upgrading pumps, and for routine maintenance and refreshers. Our CPTs are experienced with a variety of pumps, including Medtronic, Omnipod, Animas, and Tandem. We will work with you to determine which pump best suits your needs and preferences and then walk you through the process to ensure you are comfortable with your new pump therapy. We have also started using the new Medtronics 670G closed loop pump and pride ourselves in using the latest technology available to us in the field of diabetes. Continuous Glucose Monitoring (CGM): CGM is becoming an increasingly important part in our treatment of diabetes, particularly for those who suffer from fluctuating blood sugars due to insulin use. It is also a good option for those who desire tighter control of their blood sugars. CGM is a valuable way for you and your provider to continuously trend your glucose levels over several days. This information is then used to correlate your glucose levels to your symptoms, eating habits, and physical activity, which allows you and your provider to tailor your diabetes regimen to your specific needs. NTX Diabetes uses Dexcom and Abbot Freestyle Libre Continuous Glucose Monitoring Systems, which we find very user-friendly and comfortable to wear. For patients wanting better control of their diabetes, we offer in-office CGM, in which patients will take home one of our Dexcom or Libre sensors for 1 week, then come back to discuss results with one of our diabetes educators. For those who qualify, we can also help patients obtain his/her own personal CGM unit. Personal CGM training is also done in our clinic. Our Certified Diabetes Educators offer relevant group and individual classes over topics such as carbohydrate counting, diabetes self-management, and gestational diabetes. Click here for our current list of classes. We offer a wide range of nutritional counseling including diabetes-friendly meal planning, carbohydrate counting, and medical nutrition therapy to our clients with diabetes diagnosis. Our licensed dietitians and certified diabetes educators will work with diabetic patients to create personalized meal plans based on their assessed needs and expressed goals.